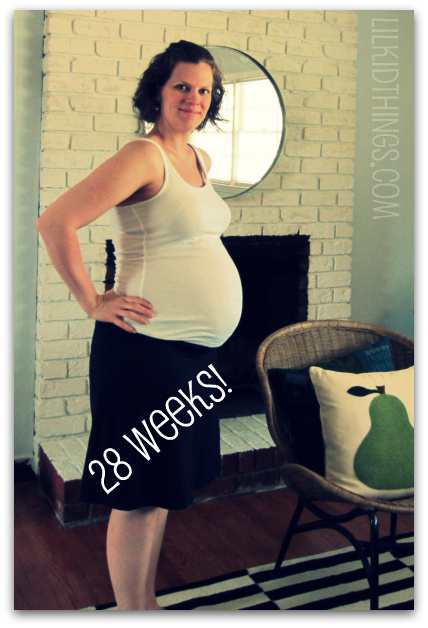 Home ParentingPregnancy	Who invited the 3rd Trimester?! Oh my gosh I have whiplash! This pregnancy is flying by with a capital FLY. I can’t even believe it but I am now in the 3rd trimester. Where are my updates? Where are my ‘bumpwatch’ pics? What is happening over here!?! The thing is, life with a toddler is much different than life in a cubicle. Life with a toddler, moving to and renovating a new home, broken legs, hospital visits, home robberies and freak tornadoes is VERY different from life in a cubicle. And this baby is just not getting the attention that he deserves. He is however getting MORE than his fair share of milkshakes and cupcakes so don’t feel too bad. It’s just the way of the second child. Hate it for him. 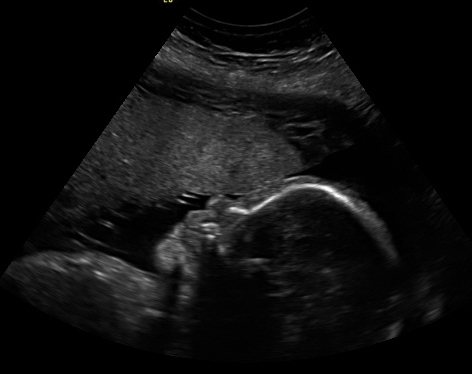 All of that freaking out aside, I am SO excited to be in the third trimester! Everyone says how fast the second pregnancy goes but I am pretty impatient and nothing ever seems fast enough for me. This though? This mess is FAST. As for preparations? I have about a week’s worth of clean clothes, some cloth diapers, a place for him to sleep and….a nursery full of boxes. Sounds like we are ready! It’s so amazing to me how different it is and yet how much is the same. Every night before bed we play a game of kick mommy and every time I try to get daddy in on the action, the baby freezes up, just like his big brother. I suppose my children aren’t destined to be performers. It could be worse! Overall, I am feeling pretty good. The second trimester was pretty rough for me emotionally but I feel like that cloud is lifting. I spoke to my Doctor about it yesterday and we agreed that me talking to a professional would be a good idea just to clear out all the cobwebs before baby makes his grand entrance. I am really looking forward to that. My other symptoms are pretty standard I think. I am definitely eating more than a normal person (hello entire avocado with my sandwich), but I feel like my choices are much healthier than they were with Oscar. I don’t have as many cravings and I am far more active chasing around a 2 year old than I was sitting at a desk all day. So far I have gained 16lbs and I am really happy with that. I maxed out at 50+ lbs last time and keeping it under 30 would be pretty dang awesome for me. No swelling so far and my iron is “perfect” according to the Dr. so all in all things are looking great! And here is the standard profile shot. Cutie! I don’t know if this is wishful thinking or what but I feel like just having him here will calm me down. I know going from one to two will be hard, but I am so ready to love him and snuggle and really settle into this family. With the move and the boxes and now the fallen trees, things have just felt unfinished. Having him here will ground me more and I am ready! And with only 12 weeks to go, it won’t be long now! Talking about flying. I can’t believe I only have about 5 weeks left. Where does the time go? 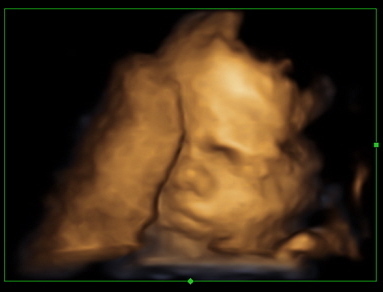 I have my moments of panic where I wonder if I can care for 2 at the same time but I think it will be an awesome update to our family and can’t wait. What??? When did this all go by so fast?!?! I feel like it was only last month I ready you were expecting and now viola – baby is almost here!! You look amazing, by the way!! Honestly, going from one to two is easier than you might think! It’s busier, sure, but you’ve got previous newborn experience now, so everything manages to work itself out quite nicely! What a cute little button nose! How cute are you? And only have gained 16 pounds? I think I had gained that by the time I had a positive test. Congrats on the second one! I’m trying to do my math. Late summer..due date? It will go by so quickly.